Pere Ubu’s Story of My Life (Imago) is the most stirring new music I’ve heard this year. It’s not what one might have expected from a band with nearly twenty years behind it and likely as many ahead of it—a band that ever since it poked its head out of Cleveland, in 1975, has seemed too odd, too addled, to make it through a single album. “Maybe I’m nothing but a shadow on the wall,” David Thomas sang eighteen years ago on Pere Ubu’s first do-it-yourself 45—a record, he once said, that was supposed to be the end of the story, not the beginning. Thomas has the voice of a prophet nobody listens to; you can hear The End in everything good he does. Very easily, in his high, strangled laments—laments made out of cries, moans, shouts, squawks, and general hysteria—you could always hear what the monster antihero of Al­fred Jarry’s 1896 play Ubu Roi should have sounded like. 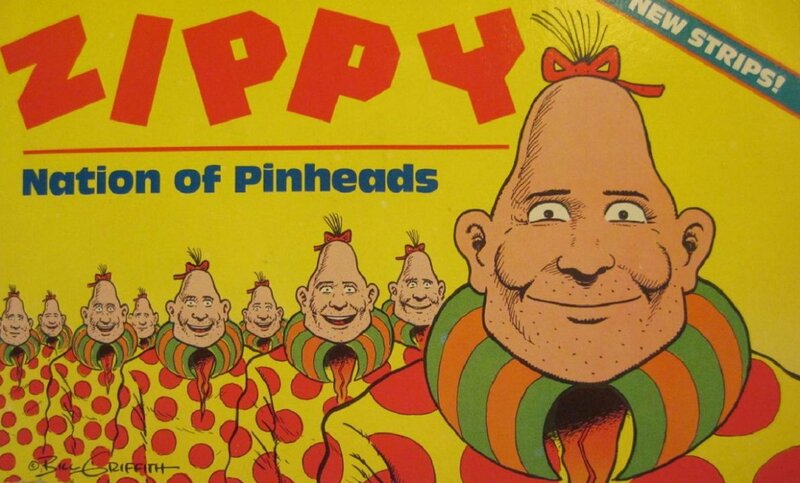 With­out effort, you could always hear Captain Beefheart, as direct a King Ubu descendant as Zippy the Pinhead. But it wasn’t so easy to catch Thomas’s kinship with Bryan Ferry (who may look like Cary Grant but sings more like Bela Lugosi), or the possi­bility that Thomas’s truest dream role might be the Big Chipmunk: the imp lurking in your shadows, the big brother Alvin, Theodore, and Simon never had. Try living up to that on the first cut of a new al­bum. “Wasted,” the opening number on Story of My Life, doesn’t merely live up to that challenge, it stares it in the face. It’s a lost-love song, maybe, or maybe a glance back at long-gone bohemian nights and days; maybe the two are the same. With nothing but the sound of a sea-chantey accordion behind him, Thomas declaims a theme, his voice and the antique instrumentation making a firm, stately rhythm, one of the fanfares that shape so much of Story of My Life. “The sum of the years, the story untold,” Thomas recites in a peroration, and then a hearty, comradely male chorus comes in with him: “We were throwing time away/Breathlessly throwing time away/Oh Oh Oh throwing time away/Recklessly throwing time away… It’s a good, solid ride. A sense of loss is posited, but the singer’s feet are firmly planted. They’re not afraid to look back, the past holds no questions they haven’t settled. Thomas goes through the same routine again, his voice down a few notches from ten or fifteen years ago, as befits his age and knowledge; the tones he comes up with are flat and still heroic, against the wind. The accordion sound goes up and down, up and down, and you sway back and forth. Then Thomas seems to take one small step away from the music and barks a command: “Rock.” From the ditch where they were waiting in ambush a bunch of musicians storm into the tune and rip it apart. It’s all in the transition, the violence of this wash of noise that now seizes the story—Black Sabbath power-chords that nevertheless seem to point the story into the future, not the past. And yet, underneath it all, that swaying accordion is still going; it hasn’t flinched. As the band rails on, the accordion seems to creep up, barely louder every beat, as if it knows something the noise doesn’t. This is a work of drama more than anything else, and it opens up a clear territory for the rest of the album—a neat eleven songs in all, a plain forty minutes that can take a listener through madness, regret, corn-pone autobiography, a “Sleep Walk” to make the reverb guitar Hall of Fame, hearts of stone and hearts on sleeves. And, dead center, perhaps best of all, “Postcard,” a ditty that matches Chuck Berry’s “Promised Land” simply by celebrating the weird local postcards you find around the country (“A cow wearing a Stetson”). Except there’s really little simple about it, and I don’t want to talk about any of it, right now. I’m nowhere near the end of this record; I want to keep it around, bang it up against Muddy Waters, Charlie Rich, Music from Big Pink, Pere Ubu’s own 1978 Dub Housing, come back in six months, write about it some more. This music can handle the time; if the year can stand up to the music it’ll be because the year, like the music, holds the story untold. This entry was posted in Days Between Stations and tagged Days Between Stations, Greil Marcus, Interview Magazine, Pere Ubu. Bookmark the permalink.